Discover ways to reduce trash when packing school lunch to be more earth friendly! obesity, diabetes and high blood pressure, just to name a few. But there’s another reason to teach your child that packing a lunch from home can be cool, healthy and fun — it’s also good for the environment. 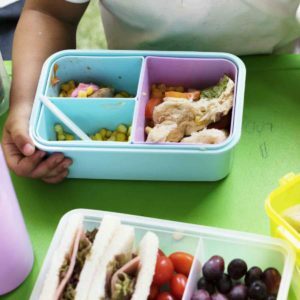 Before you dismiss the idea of an eco-friendly lunch as being too difficult or time-consuming, check out our list of easy, do-able tips on greening up your child’s lunch. You may just be inspired to do the same with your lunch! Invest in a reusable lunch box. There are lots of rugged yet fashionable lunch boxes out there and your kids are sure to find one that reflects their personal sense of style. Choose from soft insulated or steel containers. For soft insulated bags make sure it’s PVC-free (polyvinyl chloride-free) and lead-free. Styles range from outdoorsy and rugged or colorful and polka-dotted, all the way to simple-yet-durable soft-sided bags or sleek-and-shiny metal containers. There are even bags shaped like their favorite pet! Reduce the use of packaged foods. Not only are these foods more expensive compared to bulk-buys (think: splitting a large bag of raisins into reusable sandwich baggies instead of buying the little boxes), but the trash generated from the consumption of these so-called convenience foods is astronomical when you multiply it by all the children attending school. One look at the trash cans after a single school lunch period and you’ll be buying in bulk that same day! You’ll save money and the environment. You can look online or at a store that carries eco-friendly products for reusable bags and containers. They’re often made from organic cotton or recycled plastic and can save you money in the long run. Washable and durable, reusable bags come in fun designs as well as simple and chic motifs – and some even double as placemats. Just make sure to choose ones that are PVC, lead and BPA (bisphenol-A) free. Reusable containers come in all shapes and sizes, in both BPA-free plastic and metal, so you’re sure to find one to fit the job – and the lunch box. You can also consider using a bento box system, which can be found in bamboo, BPA-free plastic or metal. These make packing lunch a breeze, keeping everything separate until your child is ready to eat. 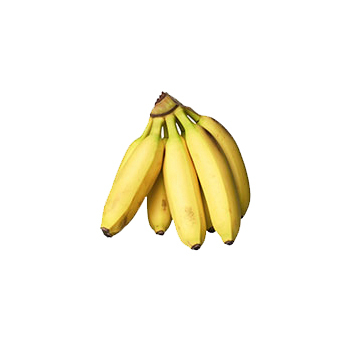 Different colored containers can be used for different foods: yellow for fruit, green for veggies or blue for meat, for example. Color coding makes lunchtime easier and quicker. Say no to juice boxes and single-use plastic water bottles. Give a shout and resounding “yes!” to reusable water totes or containers. Simply fill with water or your child’s favorite 100% juice, dilute with water (1 part juice to 3 parts water) and they’re ready to sip come snack or lunch time. You could also add lots of ice to the juice to help keep the lunch cool along with the ice pack. Ban paper napkins from the lunch box. Replace them with cloth napkins. Fun designs make them kid-friendly and smaller sizes make them lunch box friendly toss them in with the wash after use. Push away the plastic cutlery. Discover the world of reusable forks, spoons and even knives for the older kids (and you!). Made out of bamboo, metal and BPA-free plastic, you can get a set of cutlery wrapped in its own convenient carrying case that slips right into your child’s lunch box. Also check out pre-schooler friendly, thick-handled sporks (one side is a spoon and one side is a fork) that the entire family can use! Stretch your dollar by making your own whole grain cracker and low-fat cheese lunch box. The kids won’t say no when it’s attractively presented in their stylish reusable containers (see tip #3 above). Add some fresh fruit and cut-up finger veggies and you’ve got yourself a happy kid eating a nutritious, eco-friendly lunch! Check out these tasty lunch ideas. Resist the temptation to pack last minute. Have a plan and create a lunch rotation. If you do it the night before, not only will you save time for the morning rush, but you will be more likely to make better nutritional choices when it’s not so hectic. See these healthy lunch swaps. The kids can get involved, too – they can help you while learning sound nutritional principles at the same time! Don’t forget your cold pack! It’s always important to include a reusable cold pack! 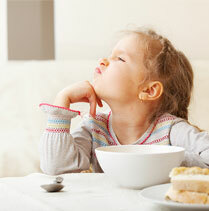 Read these tips to keep lunch safe and cold for your little ones. Encourage your school to start a waste-free lunch program that teaches students and parents where their trash goes and what effect it has on the environment. School-sponsored fundraisers that sell trash-free lunch kits can be a useful alternative to the usual candy sales. These tips may seem like a big adjustment at first, but the long-term savings will certainly add up as you replace all the one-time use items that go into a typical American lunch box. Not only will you save money, but you’ll rest assured knowing that you’re teaching your children ecologically sound principles they can pass along to their children, preserving the planet for generations to come.